Filled with pecans and miniature chocolate chips, Chocolate Pecan Cookies are a rich treat . . . perfect with a glass of milk or cup of coffee. 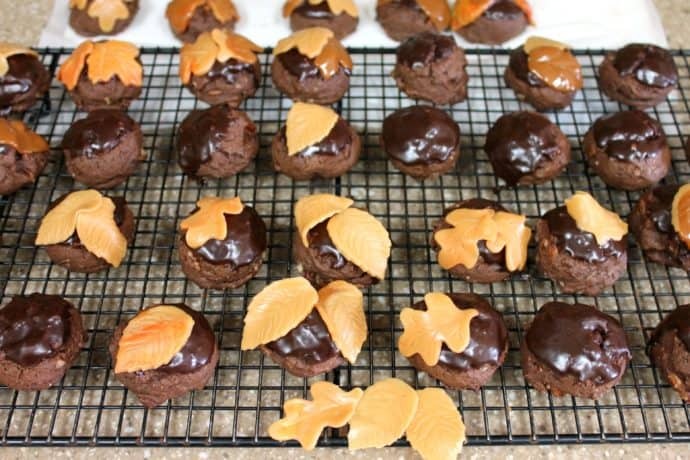 Delicious caramel leaves adorn these iced brownie-like cookies, welcoming fall. The cookie dough is very simple to make. You won’t need a mixer, just a sturdy spoon and a large saucepan. 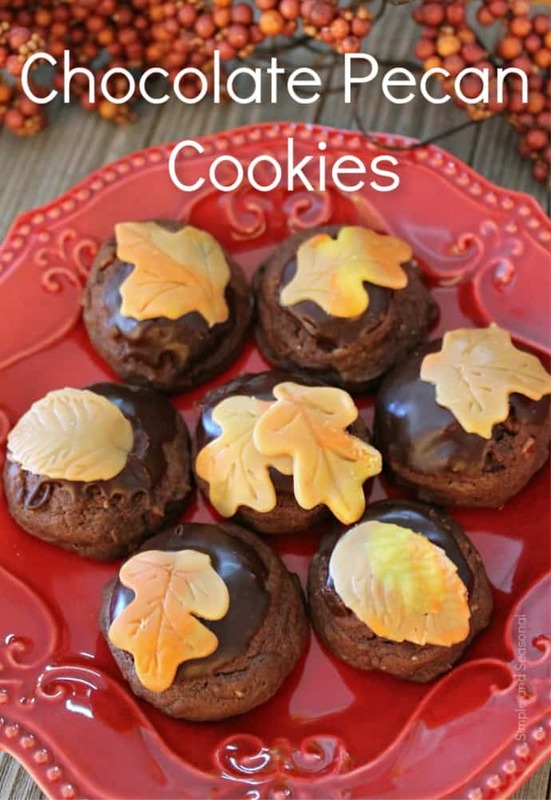 An easy glaze is added after the cookies cool, but if you prefer you can use canned icing. Creating the caramel leaves is surprisingly easy. 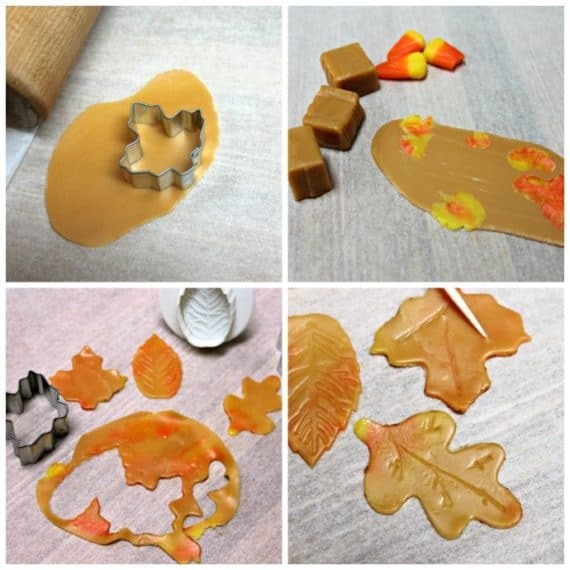 Unwrapped caramels are placed between sheets of parchment (one at a time for best results) and then shapes are cut out with cookie cutters—a great activity for kids. You can get a set of 3 leaf cutters here on Amazon. If you don’t have a leaf cutter they could also be cut out with a sharp knife or small pair of scissors. Color may be added to the caramel by adding small pieces of candy corn, but just use a little to keep the caramel from softening too much. There is no waste; the caramel can be rolled over and over! Start by making the cookies. Combine butter, chocolate and milk until melted. Then add in sugar, vanilla, and egg and stir well. Then stir in the dry ingredients. I love a recipe that is just tossing everything into a pot and stirring it up! After stirring in the chocolate chips, the dough needs to chill for an hour. Then you scoop it out (don’t flatten them down) and bake them. While they are cooling, the fun part begins-making the caramel leaves! Roll out one caramel square at a time between sheets of parchment paper. 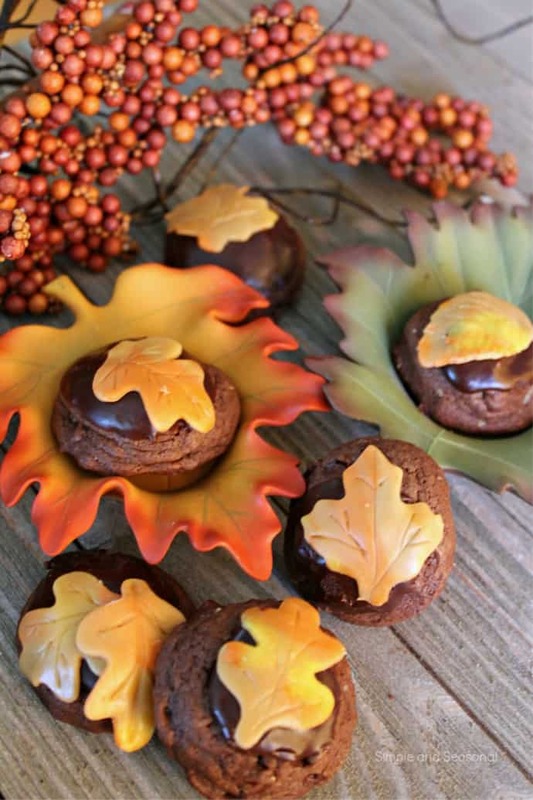 You should be able to get three 1 1/2″ leaves out of one caramel, so be sure to roll it out thinly. If you want to add some color, you can take bits of candy corn and roll it up into the caramel. Just don’t use too much or it will get too soft. Use a knife or toothpick to sore the leaves and add details. The last thing to do is make the chocolate icing that goes on top of the cookies. Spoon it on top or dip the cookies and then it set for about 10 minutes. 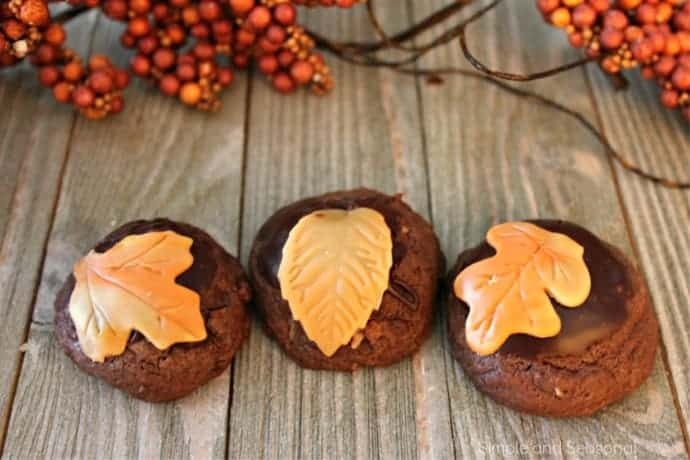 After that, add your leaves for a beautiful fall cookie! 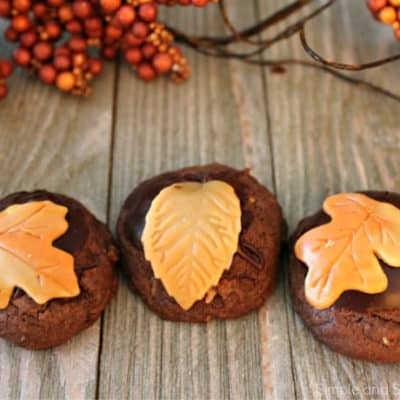 This fun project will fill your house with the luscious fragrance of chocolate, and your cookie jar with a new autumn favorite. 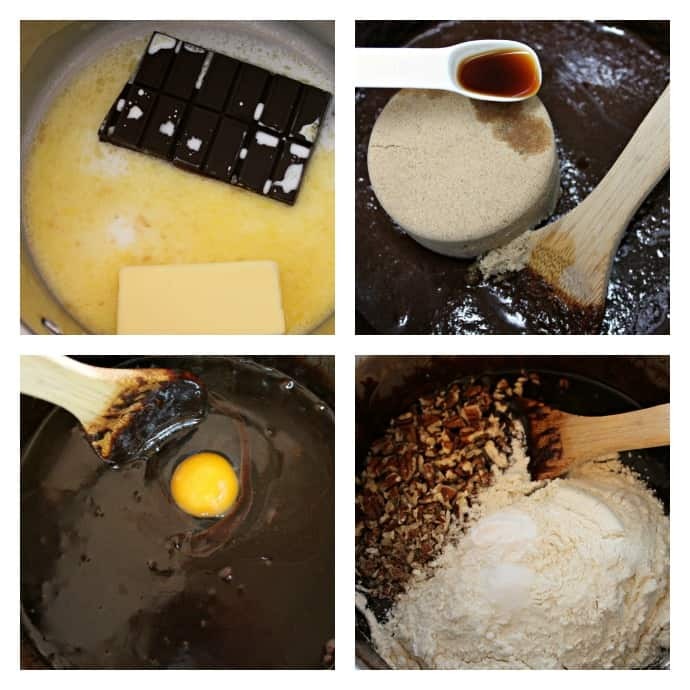 In a large (3-quart) saucepan, combine butter, unsweetened chocolate, and milk, stirring often until melted. Remove from heat. Add brown sugar and vanilla. Stir until combined. Add flour, baking powder, salt, and pecans. Stir until combined. 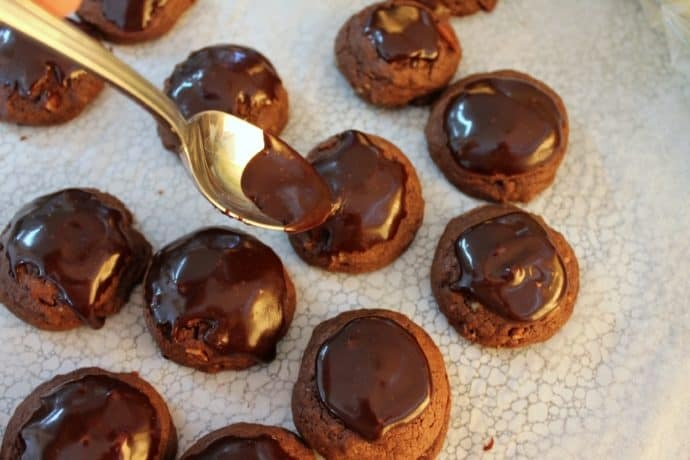 Stir in mini chocolate chips. Cover and chill for 1 hour. Heat oven to 350 F. Cover two baking sheets with parchment. Scoop rounded tablespoons of dough onto prepared baking sheets and bake for 12 minutes. Move cookies to cooling rack. Working with one unwrapped caramel at a time, roll between two sheets of parchment. Caramel should be fairly thin, yielding three 1 ½-inch leaves. Cut shapes. Scraps can be rolled with the next caramel. If you wish to add color, break up a candy corn and sprinkle it over the rolled caramel. Roll lightly. Fold up and roll out again. Use a toothpick or the back of a knife to add veins to your leaves. Lay each leaf flat on parchment, not touching, until ready to use. In a small saucepan, combine butter, unsweetened chocolate, and milk, stirring often until melted. Remove from heat. Add powdered sugar gradually, stirring vigorously until smooth. Let the icing set for 10 minutes, then add the leaves. Once icing is completely set, cover and store at room temperature. 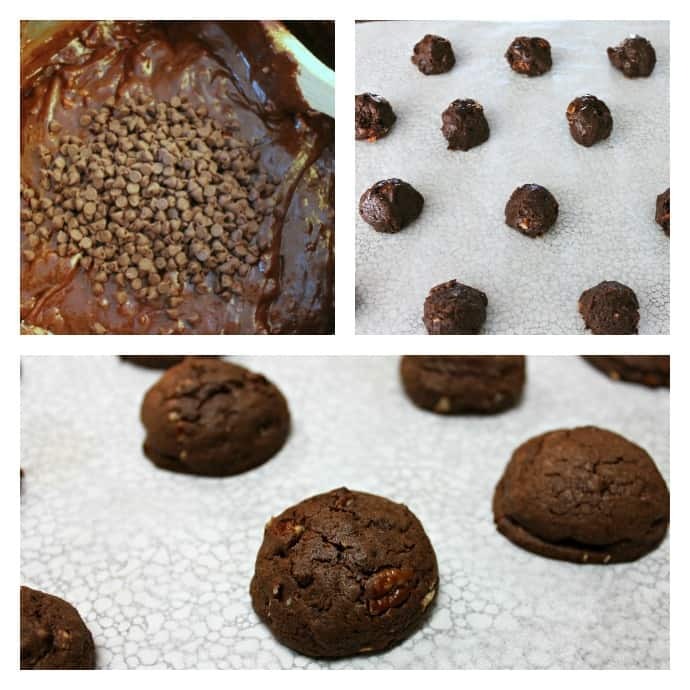 Don’t forget to pin these Chocolate Pecan Cookies for later! 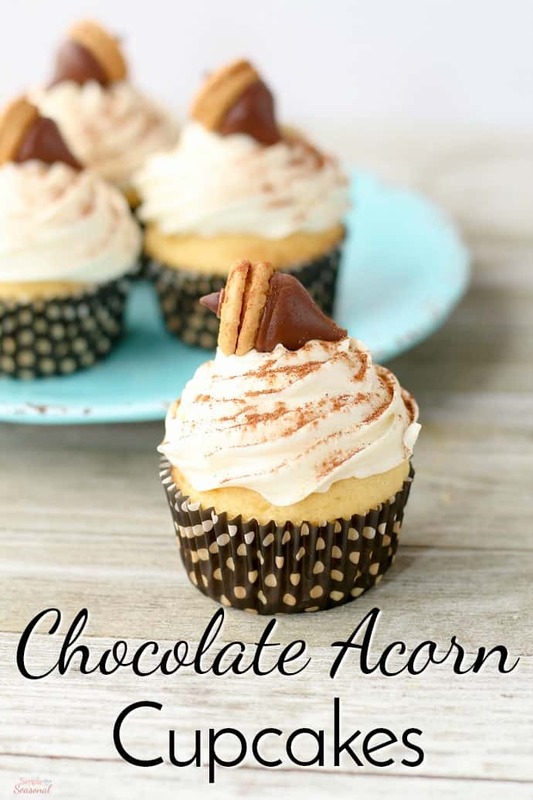 For another fun fall treat, try making these Chocolate Acorn Cupcakes!